Challenge coins, a part of military history since WWI are quickly becoming a favorite team building tool for corporate America. Our custom die-struck coins with soft enamel color are perfect rewards that recognize achievements of military or civilian teams. Die struck coins offer the crispest details and a high end look. 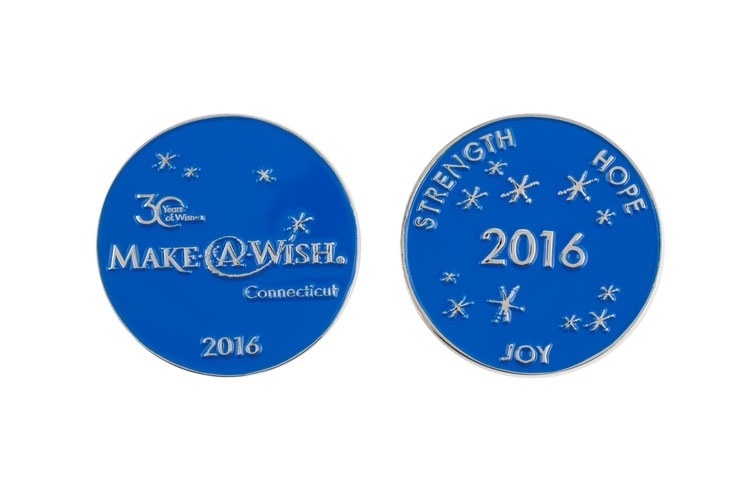 Coins are offered in custom die cut shapes, sizes, finishes and thicknesses. A quality die struck custom challenge coin will be treasured by the recipient for years to come.